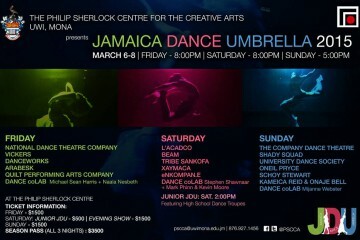 The Jamaica Dance Showcase continues tonight (showtime 6pm) and has so far been an excellent display of the diverse dance talent that exists in Jamaica (review to follow). YardEdge talks to dancer/choreographer Maria Hitchins who specializes in Dancehall and who is presenting her works tonight. Maria: My work is my present state of mind, it speaks to my joys, disdain and overall exploration of things, time and thoughts of this moment. Maria: I am experienced and have trained in various dance genres including, Modern Contemporary, Folk, Afro- Caribbean and Jazz however unapologetically, Dancehall is where my passion is at its peak. 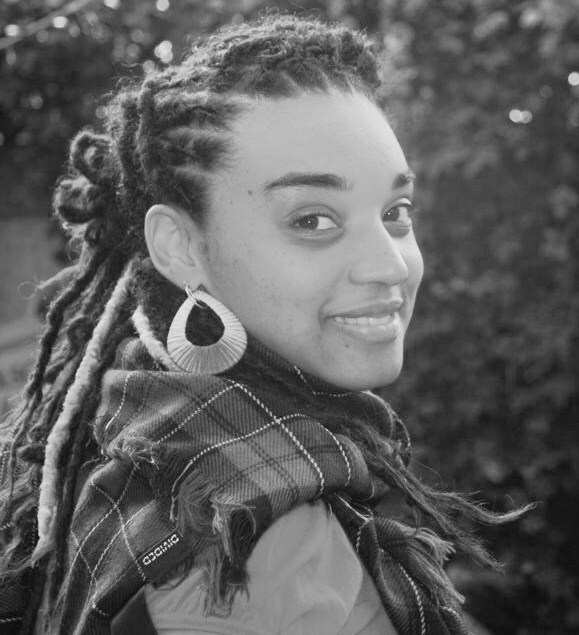 Maria: I am Founder and Artistic Director of D.O.J Crew, third place winners of the Reggae Dance Championships 2008. I also work very closely with U.W.I Dance Society and I freelance on various entertainment productions including live events. Maria: The sustenance and revitalisation of Jamaican culture, both ‘popular’ and ‘folk’ in music, story telling, foods, ring games etc. I also operate a children charity, GROWING & GIVING, engaging and guiding the youths is critical to the survival of any civilisation. Maria: Simply knowing there are like minded genuine and positive individuals in existence. Maria: I have been dancing since three years old in school concerts, that spurred into dance companies and tours abroad including France with Shaggy. Maria: I admire the natural gifts and generosity of Patsy Ricketts and L’Antoinette Stines, undoubtedly two of Jamaica’s best. Maria: Being physically able to dance is ineffable, not being afforded the respect as other careers, represent social-short sightedness and misguided snobbery, in our society. Maria: There are still class cultural battles and existing prejudices with ‘stage’ versus ‘street’ dancers and dance groups, but that is slowly being brokered by successive generations, aided by advancement and accessibility in technology. Street dancers are evidently more visible and their exploits more pervasive across social and geographical borders. The onus is now on them to truly ‘show up’ and ‘stand out’ each time. Maria: Travel while teaching and learning dance, later owning and operating a cultural arts centre for the youth. Maria: Constantly seeking new music, keeping a presence in the streets and remaining relevant and genuine to dance. YardEdge: Do you dance professionally? Maria: Money doesn’t motivate me to dance, therefore I dance and choreograph with or without a contract of monetary rewards. Maria: It’s the entire body, not just the head, synchronising mood, music and audience of the dance. Maria: My 15-mth-old daughter Milan, knowing there are new dance moves and music to discover, researching Jamaica’s Street Dancers in order to complete my Master of Philosophy Thesis in Cultural Studies. Their socio-cultural and economic contributions to Jamaica must be analysed, recognized and recorded by a Jamaican. Maria: I have always believed that by virtue of being born a Jamaican that I am born a star, it had been written by some special code in the universe that I would DANCE, and DANCE I shall, till the heavens say that’s a wrap! You have soul Maria. Soul. Great feature…Big up Maria and Milan,,it is very re-assuring they are still positive Jamaicans out there…Continue the wonderful journey. God Bless you. Great feature…Big up Maria and Milan,,it very reassuring they are still positive Jamaicans out there…Continue the wonderful journey. God Bless you. Great feature…Big Maria and Milan,,it very reassuring they are still positive Jamaicans out there…Continue the wonderful journey. God Bless you. Big up to my dancehall choreographer Maria…. its always a pleasure working with her, and her dances are always creative and full of energy. Continue doing what u do Maria and continue to inspire. i love the last line — born a star. Shine on my dear friend. Keep pursuing your passion, Maria! You have much to be proud of so far!!! You are an inspiration to myself and to all of those who have a desire to fulfill their destiny despite what the world may say. I am proud of you. Maria is a “Dancing Flame”. All the best Maria. Maria, I am so very proud of you my strong, confident, black, regal Jamaican ex school mate and friend. Keep the fire blazing and burn up the stages with your dance, passion for J’can culture and relentless faith! One Love, Bless up and up!